Home » RV Lifestyle » London Bridge is not falling down, and there are lighthouses in Arizona, but no fog. London Bridge is not falling down, and there are lighthouses in Arizona, but no fog. The song may say otherwise, but I assure you London Bridge is not falling down. I stood on it. If it can hold me up, I’m sure it’s fine. But back in the early 1960’s the bridge was falling down, unable to hold the increase in traffic over the previous 130 years. The City of London decided to put the 130-year-old, crumbling bridge up for auction. The founder of Lake Havasu, Arizona, Robert P. McCulloch, won the bid with a cool $2,460,000 in 1968. He then spent another $7 million to bring the London Bridge to Lake Havasu – brick by brick. It took three years, and it was then reassembled over Lake Havasu. They put a little English Village next to the bridge. Probably so it wouldn’t feel homesick. English Village at London Bridge in Lake Havasu. I’m sure London Bridge feels less lonely now. 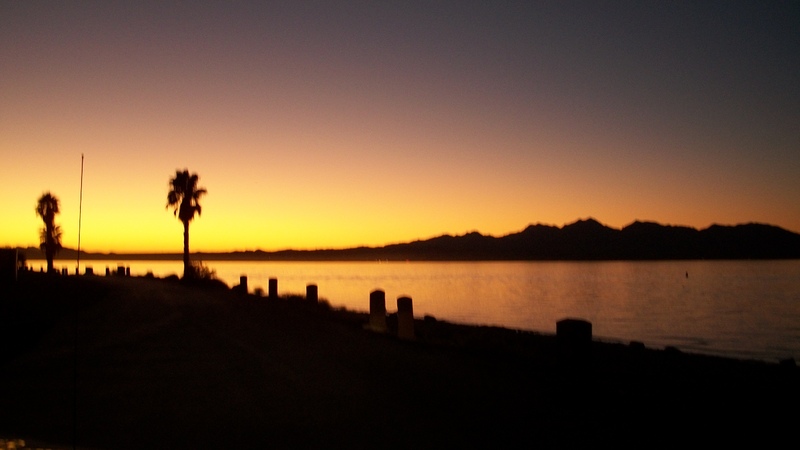 Lake Havasu is beautiful, especially at sunset. Lake Havasu, Arizona at sunset. Arizona has neither fog nor ocean, but it has plenty of lighthouses. Really. 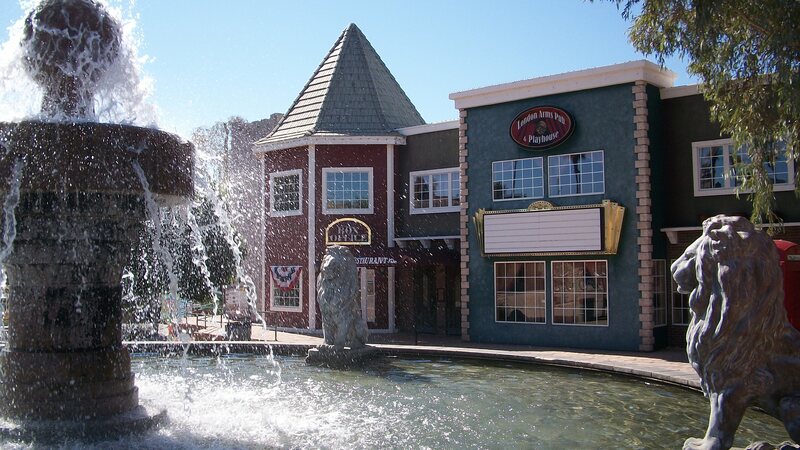 I’m not sure why they put lighthouses around a lake in a state that has no fog, but they sure are cute as little one-third-scale working replicas of lighthouses from around the world. Next, I met a naked man in Quartzsite. Yes, I have pictures. My Fair Lady. Oops did I sing that out loud? I’m a huge fan of lighthouses, and have always wanted to live in one. Lighthouses in Arizona? Why don’t they have fog? Because it never gets cool enough? Well, this week seems to be full of firsts. For the first time, a city I’ve written about commented on the post. Lake Havasu City, Arizona is on top of their social media mentions. Way to go, LHC! They offered some more information about the lighthouses: Lake Havasu City, Arizona posted on Kernut the Blond’s Wall. Not that I wouldn’t like to (swak) but it would seem that I was logged in and somebody else left a reply. Doh! hiker mike’s last post ..Road Trip!!!!!!!!!!!!!! LOL Cherynoble strikes again! That makes more sense.